What is a hookah. Is a hookah harmful or not? Is a hookah harmful or not? Hookah (calabash, hooka, kalian,	calean, chillum, sheesha, nargile, nargilly, shisha, water-pipe, nargileh, hubble bubble) – is a smoking instrument, in which the inhaled smoke gets filtered through the liquid (water, wine or other liquid mixture). The hookah was invented in India and quickly spread all over the Muslim world. In 19th century it becomes popular in Europe. Numerous tourists, who tried smoking hookah in Syria, Turkey or Iran, speak enthusiastically about their unusual sensations on returning. 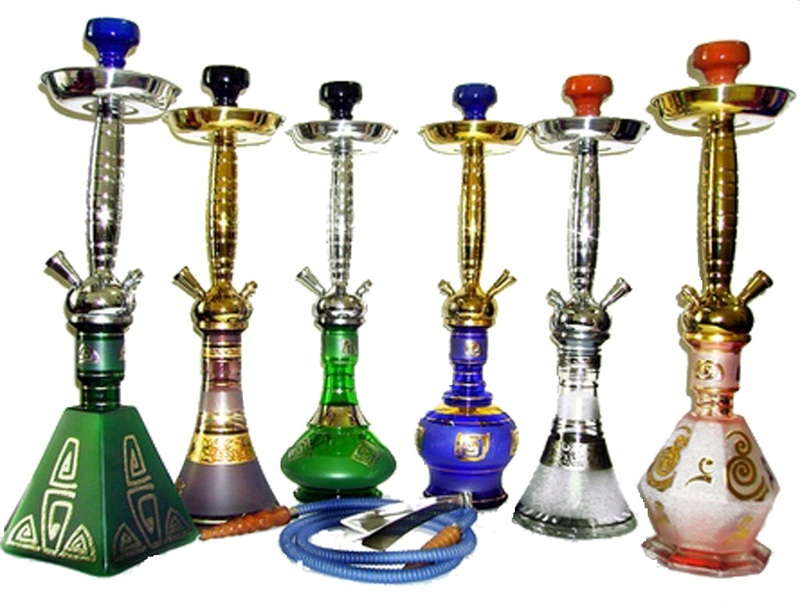 Today hookah becomes more and more popular in many countries. Its popularity grows, and zealous admirers of cigarettes gradually join the ranks of hookah admirers. Moreover there is a strong belief among the smokers, that hookah is not only more pleasant, but also not so harmful in comparison with cigarettes. There is a special kind of tobacco (not cigarette tobacco) used for a water-pipe. It is humid, sticky and looks like a jam. There are two types of hookah tobaccos. The first one is called tumbak, it is “usual” tobacco, originated from Turkey and Iran. It contains a lot of nicotine. Before smoking it should be moistened by water, then wrung out and put into a hookah cup. The second type is mu'assel, originated from Egypt. It consists of syrup received from sugarcane and kinds of flavors (fruit, berries etc). In daily use such tobacco is called shisha. From the first sight smoking hookah looks like quite a harmless pastime. The advertisers selling hookahs assure us, that all smoke gets filtered through the liquid, and all resin and the rest of disgusting things stay in the water. Unlike cigarettes the hookah tobacco contains no paper, which keeps a lot of dangerous substances. During smoking tobacco doesn’t touch the open fire, and doesn’t burn, but dry up under the influence of high temperature. Therefore hookah smoke has no dangerous cancerogens, created as a product of combustion. The smell of hookah has nothing in common with the smell of cigarettes. The hookah smoke is softer and has absolutely another taste. The hookah jar can be filled not only with water, but also with different aromatic liquids, juice, oil and wine. Desperate hookah admirers contrive to add stronger drinks there. Water-pipes are used for relieving stress, relaxation and easy conversation with friends and close ones. In true within an hour of such smoking you get 100-200 times more smoke passed through your lungs, than when you smoke a cigarette. 45 minutes of hookah smoking give the organism 100-200 times more carbone monoxide, than contains in a pack of cigarettes. Special hookah tobacco contains nicotine, and its concentration is 0,05 percent in 50 g pack. This means 50 g pack contains 25 mg of nicotine. Such pack is sufficient for four loads. It follows, that one load contains 6,25 mg of nicotine. For the information – a cigarette contains only 0,8 mg of nicotine. It is evident, there is 7,5 times more nicotine in the hookah. But we can hardly imagine the harm of water-pipe smoking in figures. Cigarette manufacturing has current standards, while hookah influence depends on many conditions: the quality and type of tobacco, temperature of burning. There are events of breathlessness and poisoning in practice of hookah smoking. WHO (World Health Organization) representatives report, that hookah smokers have increased concentration of carboxyhemoglobin, nicotine, cotinine, arsenic, chromium and lead in their blood. Therefore smoking cigarettes and smoking a water-pipe have the same results: cardiovascular diseases, cancer of lungs and other organs, child-bearing pathology, pulmonary system disorder. Experts in narcomania assert, that smoking hookah, like smoking cigarettes, follows to addiction. That is why people, who smoke hookah to get out of the habit of smoking, suffer from tobacco dependence. And vice versa, non-smokers, who smoke hookah on a regular basis, risk of becoming nicotine addicted. Such people more often fall into depression, start smoking cigarettes or take medicine drugs. Nicotine deficiency in organism can be compensated with the help of hookah; it takes from 20 to 60 minutes. Common visitors attend hookah houses once or twice a week. Several years ago German specialists from Federal Institute of Health Risks Research (Berlin) became concerned about the question of hookah smoking. After a long examination they concluded, that smoking a water-pipe brings more dangerous substances into organism, than smoking the strongest cigarettes without filter. The filter and water don’t absorb dangerous substances but cool off the smoke, so it could reach the most distant parts of the lungs. The investigation has shown the amount of nicotine in the blood of hookah smokers is higher, than in the blood of smokers of tobacco or usual cigarettes. Also the German scientists found out, that temperature of cinder is more than 450°С, and during the session a hookah smoker inhales 500-600 cm3 of smoke. As a result in the course of time his lungs lose elasticity and can’t get rid of toxic substances effectively. If you smoke a water-pipe in a company, and the instrument is not disinfected, you may get infected with hepatitis, tuberculosis, herpes and other virus and fungus diseases. The hookah becomes a very dangerous device in this case. According to WHO report, the hookah is not a harmless alternative to cigarettes.